Surely the highlight of 2015 for most enthusiasts like me was the flight of Vera from Canada to England for her tour of the UK in August. How we were all thrilled to see her flying with Thumper, the Battle of Britain Memorial Flight Lancaster, and often with other Merlin engined miracles; Spitfires, Hurricanes all took their place alongside this majestic aeroplane, and thrilled the whole country. 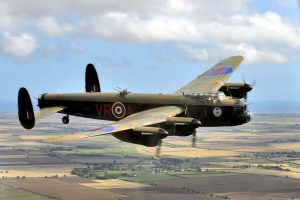 We were also privileged to fly with her as well – although little mention was made of it, but in fact we flew forty eight people alongside in two days of flying out of Humberside. The feedback was truly fantastic - and the photographs taken, just out of this world. Here are some examples showing just how well we were able to showcase one of the pair of Lancasters which are still flying. 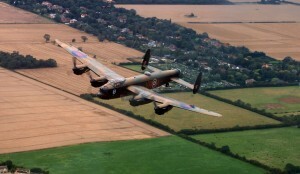 These flights were really a ‘one off’ - the Canadian Lancaster was on a ‘once in a lifetime’mission. When she returned to Canada, that really was it - and the chance to fly with her again I’m afraid won’t exist, which is something I think we should address. Watch this space for a future announcement!